In collaboration with the founders of StreetEasy, we were tasked with designing their next venture, String, a global experience discovery app. 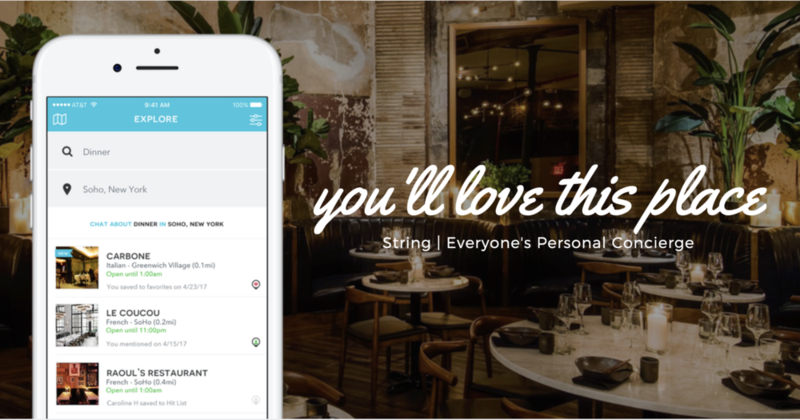 String’s goal is to make it easier than ever to find great things to do. What makes String unique is the seamless combination of intelligent algorithms and high-touch human concierge services, delivered seamlessly via a conversational “chat” app. As part of its growing offerings in the digital concierge category, String needed a mobile-first user interface that combined elegant ease-of-use with compelling content, all with the aim of connecting customers with bespoke experiences through a few simple taps. At the same time, String’s network of curated hospitality experts enabled app users to experience the world as highly-connected insiders. We spearheaded design of this next chapter for String, through a polished and clear user experience, that helped the guest anticipate their experience via compelling preview content and rich editorials. We began with analysis of the mobile travel and concierge landscape; these findings helped identify fresh opportunity for what an elevated app experience could look and feel like. Our design process included in-depth user experience planning, wireframes and flow mapping. From there, we created a unique visual system that delivered visual “wow” without compromising usability. Our app design for String was recognized by Apple and selected as a “featured app” in the App Store. This streamlined user experience was delivered seamlessly through mobile, web and backend products. 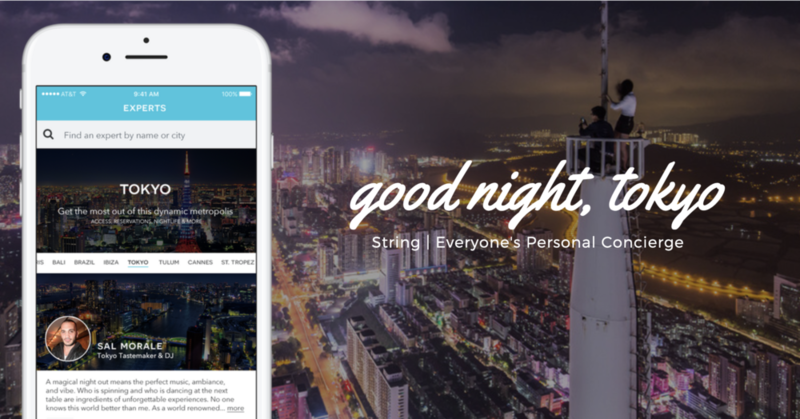 We spearheaded social marketing efforts for String’s launch into the App Store and social platforms. Inspired by curated adventure, we developed a catalog of social content featuring major world cities involved in String’s initial launch. From New York to Paris, Bali to Los Angeles, we worked with String’s concierge network to develop a best-of-the-best experience roster for app users to browse, purchase and experience.